I'm back with another fabulous collaboration for you guys. Having lived in the London Docklands for the past 4 years, I am definitely starting to consider myself an East London girl. Not only is it buzzing with amazing gastronomic destinations but it also has one of the best style scenes in London. Some would say that East London is synonymous with London Style and I would agree. I love browsing the lovely little boutiques in Shoreditch and Spitalfields Market. And that's why I'm so so excited about today's look! Traffic People is one of my favourite boutiques in East London, their styles are just so pretty, vintage inspired with just the right touch of retro thrown in! 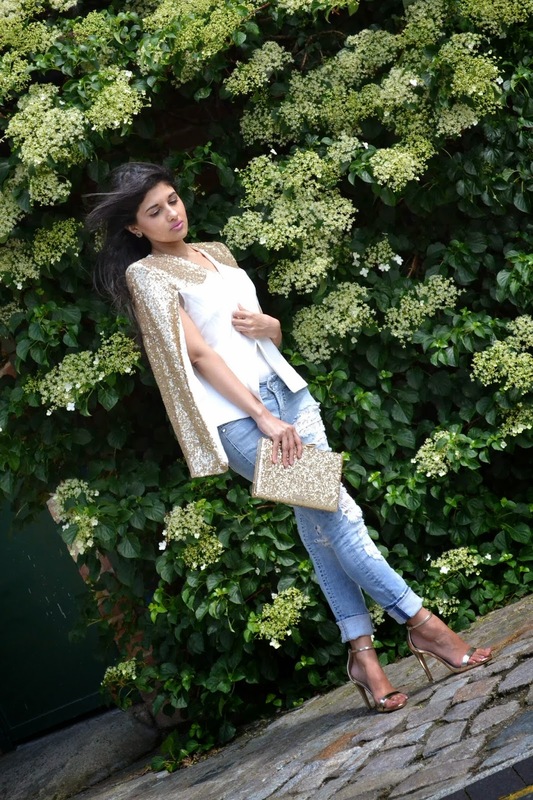 I was so excited to style this stunning sequined cape in such a pretty cream colour! 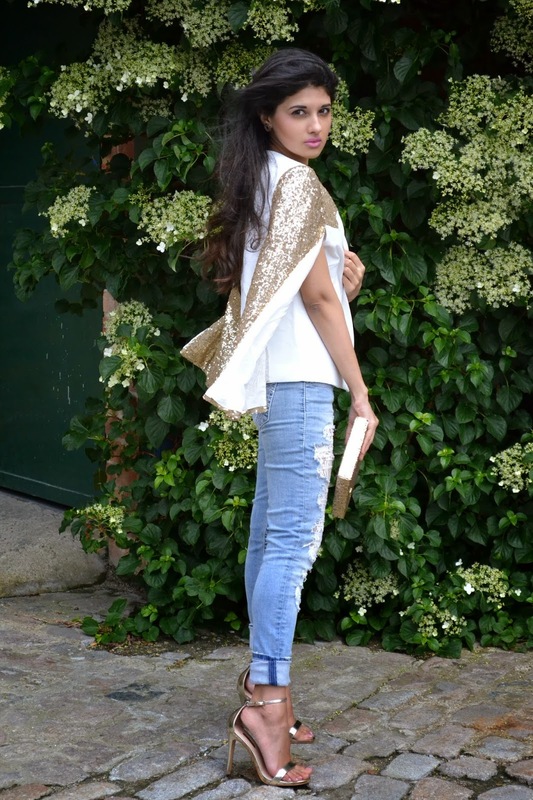 I decided to wear it with a simple white top and some ripped denim with lace detailing and my Kate Spade sequined clutch along with some strappy gold sandals which were the perfect complimentary accessories. 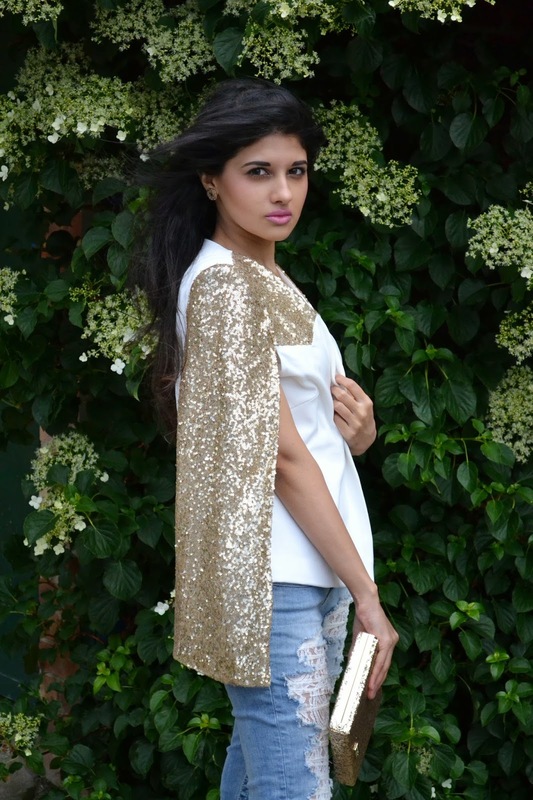 The cape is also available in other colours so make sure you check out the website to see what else they have!